As a manufacturing material, Aluminium presents unique aesthetic and performance benefits. Offering superior strength and slim sightlines, it is increasingly used in modern window designs, and to ensure we cater for this demand, Caldwell’s sash window hardware is suitable for installation in a variety of aluminium sliding sash windows. Our extensive range of aluminium sash window hardware enables specifiers and fabricators to select products from our range, with the confidence that they are able to meet the required specifications of almost any criteria, catering for specific levels of security, performance and safety. 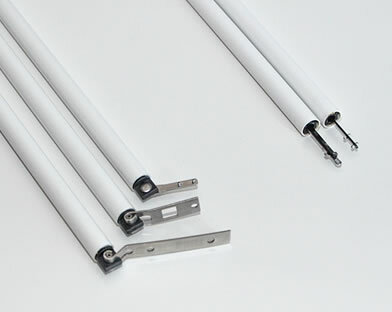 Caldwell are highly experienced working with aluminium as a material, manufacturing hardware pieces such as spring balances and travel restrictors from house-designed aluminium tubes and die cast aluminium respectively, though we are equally proficient providing all types of hardware suitable for installation in aluminium extruded sash windows. All spring balances from Caldwell are suitable for use in aluminium sash windows, with window applications ranging from restoration projects to new build developments. Regardless of sash weight, our spring balances can be installed in virtually all aluminium sashes – with spring balances weighing anywhere between 13kg – 50kg. 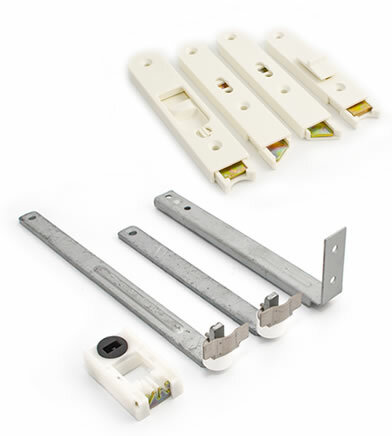 Additionally, we can also supply a collection of functional hardware designed to enhance the performance of the sash window, with standard pivot bars, tilt latches and travel restrictors which are suitable for installation in a range of materials, including aluminium sliding sashes.